If you consider MYOB to be your Main Data storage area currently if you wish to add / edit or even delete, you need to be a licensed user and you need to have the ability to utilize these features. You may wish to bring Supplier information into your system to show this against Jobs. In jobs such as the building industry, you need to know when the order was placed, when it is to be delivered. If delivered whom to contact and how to ask about correct delivery, faulty products etc. In this example we will assume you have a location for each supplier invoice – even if you used custom fields for this. 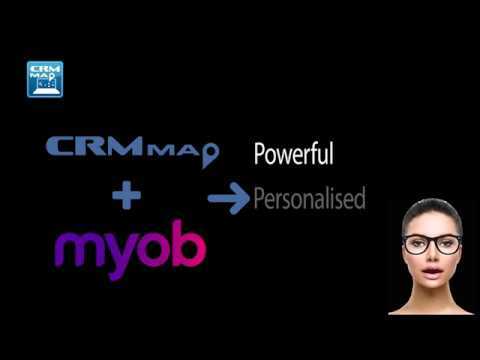 Import your MYOB Purchases into the CRM-Map’s transaction table. This will let you see all your Transactions per Location. The location could be a Job, a Customer or even a Supplier. If you put the MYOB Invoice Type into the Status, you will see at what level the purchase is at, e.g. a Quote, an Order or an Invoice. Implementing CRM-Map, based on the options you have allocated to your users, the users can now See, Add, Edit and Delete transactions. This can automatically transfer back to your MYOB. This saves you in Time, License Fees and User Errors.